Although quilting is such a vast craft, many quilters find that there’s one particular style that they enjoy more than any other. If you happen to enjoy strip quilting or if you’re looking to learn more about it, then don’t pass up on Kathy Brown’s Strip-Smart Quilts: 16 Designs from One Easy Technique. Expand your knowledge of the type of patterns you can create with a simple strip quilting technique with 16 original designs that each use the technique in a different way. You will be able to see the potential benefits of working with this book from the very beginning, as author Kathy Brown challenges readers of all skill levels to experiment with their quilting and try some not-so rule abiding methods to find the approach that best suits you. She also includes a helpful guide to the process of quilting from beginning to end so you’ll be able to apply technique to whatever you plan on doing. Strip-Smart Quilts is special for both the impressive designs, as well as the stories behind them. Working on the details of a quilt will feel much more natural once you’ve discovered Brown’s inspiration behind it. She includes heartwarming memories and beautiful images to give you an idea of just what atmosphere you’ll be creating with the results. Of course, you’ll also be getting 16 quality patterns with measurements, images, and steps from start to finish to help you make your next strip quilt a real success. Find out all the ways you can use one easy technique with your own copy of Strip-Smart Quilts: 16 Designs from One Easy Technique. The editors at FaveQuilts have enjoyed it so much that we’d like to share it with you right now; if you haven’t already, be sure you don’t miss out on our giveaway which ends on the 7th! 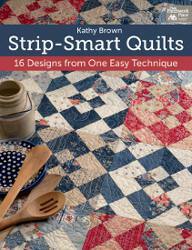 Enter to win your own copy of Strip-Smart Quilts today. 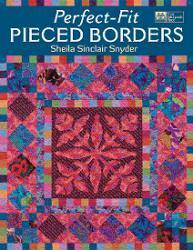 Sheila Sinclair Snyder’s Perfect-Fit: Pieced Borders is asking quilters to spend more time thinking about the little details that are used to finish a quilt; the borders. This book is not meant to just instruct you how to piece together beautiful looking patterns, but also how to design them especially for your quilt projects. If you’ve always wanted to take more risks with the way you design your borders, this is the best place to start. 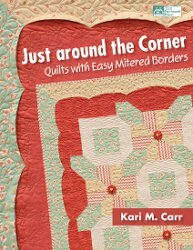 Once you’ve read up on the many approaches you could take to complementing your quilt pattern properly with your border, you can try one of the unique patterns included within this book to start practicing your newly obtained border design skills. Like any good book about quilting, Perfect-Fit starts off by adding depth to its subject. Making borders isn’t as simple as it seems, but author Sheila Sinclair Snyder is able to simplify her processes and ideas with plenty of pictures and examples. Best of all, the book is filled with a series of patterns that each use different techniques within their borders. There’s no better way to learn than with practice, and these beautiful quilts will be the appropriate place to start. 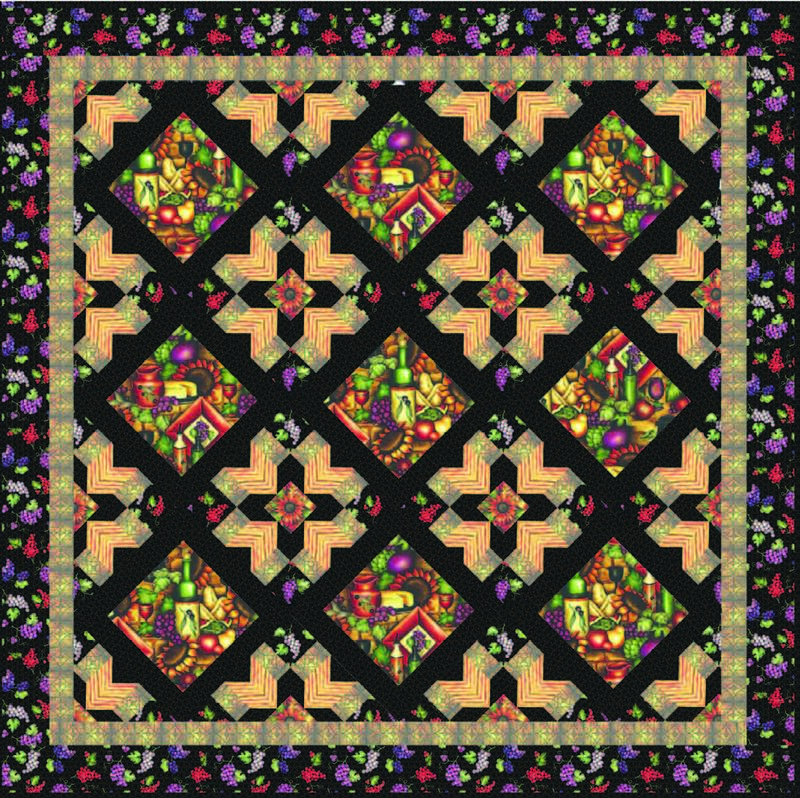 You can improve both your technical quilting skills as well as your eye for design if you follow the advice and tutorials provided in Perfect-Fit: Pieced Borders. The editors at FaveQuilts only recommend the most helpful books and patterns that we believe we suit quilters of all skill levels, and we think this should be on every quilter’s bookshelf. Want to learn more about this fantastic book? 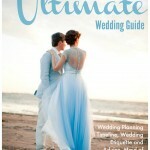 Then just enter to win your own copy on our site! If you haven’t already entered, you still have until April 9th. Every quilt you make after you read this book will have a new level of detail and professionalism that will catch anyone’s eye. I was slightly intimidated when I began my first quilting project. Not only was it my first quilt, but it was my first time using a sewing machine. I got the machine for Christmas from my parents and was eager to make them a gift to thank them. I gathered pieces of scrap fabric, old tee shirts that were meaningful to them or my siblings, and even printed pictures of the family on fabric to create a quilted scrapbook. I pinned everything down and got to sewing. Despite my greatest attempts to make sure my seams were straight and everything matched up correctly, it still managed to look mismatched and uneven (which suits my family, actually!). While they loved it regardless, I still was a little disappointed that it didn’t turn out like I wanted…I also didn’t even try to learn some basic quilting skills before starting…so I guess I can only blame myself, right? Well, I’m here today to help you embark on your quilting journey with an easy beginner’s tutorial, filled with everything you need to get started quilting–from basic supplies to great beginner projects to help you fine tune your skills. When I quilt, I stick with the basic patchwork style. I’ll usually pick three or four coordinating fabrics, cut a bunch of 6″ squares and have at it. I’ll do a diagonal pattern, a diamond pattern or something completely sporadic and random. This is the way I’ve done it since high school. When it comes to finishing off the raw edges, or “binding” the quilt, I’ve always sewn a very basic border around the entire quilt. Using a method I learned from my high school sewing teacher. I would consider this an alternative to binding, because you’re using the same fabric that will make up the back of your quilt. First I’ll explain how to sew this alternative binding, (my basic border). Then I’ll show you where to find instruction on how to sew a more complicated mitered quilt binding. When you go to lay out your quilt, make sure the fabric you’re using for the backing is larger than the quilt top. Lay the backing design-side down, and place the batting or filling on top. Make sure the batting is at least an inch larger than the quilt top all the way around. Place the quilt-top on top of the batting. The batting should peek out from the quilt-top about one inch, and you want the backing to be about 2 inches beyond the batting. Now simply fold the backing over the edge batting edge and pin to the quilt top. Making a border. It should overlap the quilt-top about a quarter inch. Do this all the way around the quilt. Once you’ve completed this, the corners will gather where they meet. In order to create a smooth seam here, trim the edges down and roll the fabric under, pinning as you go along the corner. It will look like an arrow. Sew along all pinned lines and your quilt is complete. If you’re working on a quilting project that is a little more in-depth and uses more techniques than a basic patchwork quilt, I suggest following this instructional video given by Connecting Threads.com. This is one quilter who knows what she’s doing! For more quilting patterns, check out the Quilting Section at FaveCrafts.